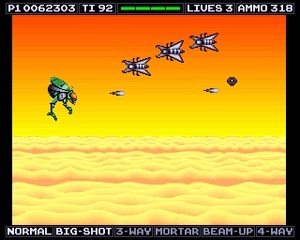 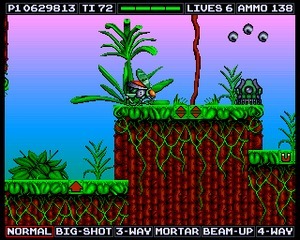 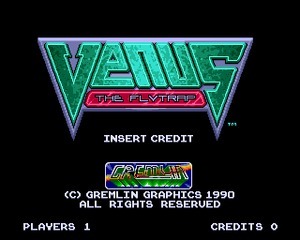 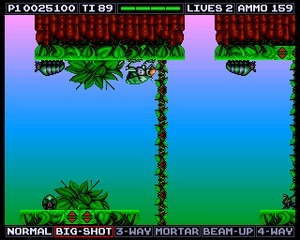 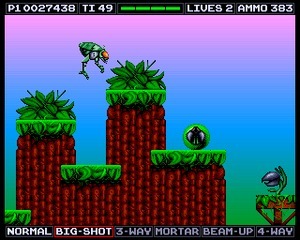 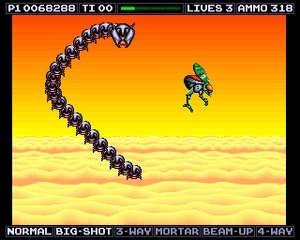 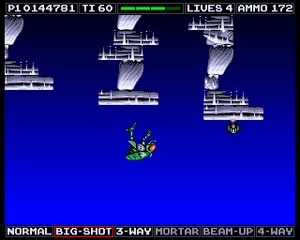 Venus The Flytrap is a shooter/platformer created by Gremlin Graphics and released in 1990 exclusively for the Atari ST and Amiga. 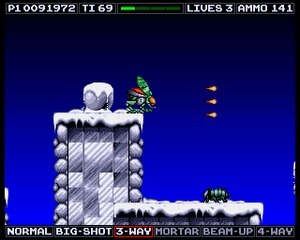 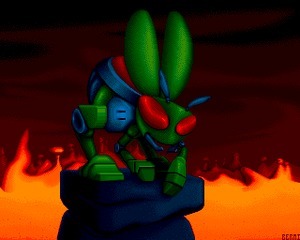 In the game you control a robot insect that has to save the world and defeat other insects that are trying to clean earth from the plague of humanity. 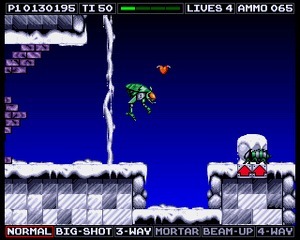 Using all your weapons and power-ups you must get through 8 worlds, including Frozen Wastes, Caverns and Death Valley. 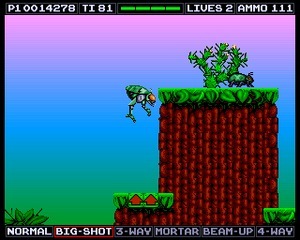 The game didn't reach great popularity but it was appreciated for its original gameplay and the great mix betwen shooter and platformer.